Powerpoint Maths Presentations: Download Powerpoint files covering a wide range of Maths topics. Ideal for the busy teacher. Whiteboardmaths.com is dedicated to providing the busy teacher with high quality PowerPoint ® mathematics resources for use with electronic whiteboards/screens/laptops. This resource is vast and contains over 1 GB of presentations, approximately 800 presentations/Activities (including the GCSE Boosters), 10 000 slides and 100's of built-in worksheets. 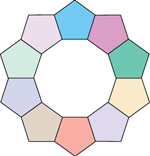 These visually appealing and stimulating mathematics resources will significantly enhance the teaching and learning experience in the classroom. Many of the files contain stunning visual effects with extensive use of animations and sound throughout. Children and teachers love them. Watch motivation levels rise and exam grades soar!! · VLE licences facilitate personalised learning as students are empowered to re-play lessons/revise for GCSE's from home*. *A free PowerPoint Viewer can be downloaded at www.microsoft.com/downloads. Once there choose "More Popular Downloads" and from the list select the Microsoft PowerPoint ® 2007 viewer. This powerful resource has won strong aclaim from teachers the world over (See Home Page "Views from the Front") It provides extensive coverage of the mathematics curriculum as currently taught in UK primary schools, secondary schools and colleges. A key focus is to reduce teacher workload and as such, many of the presentations have been targeted at those "awkward to teach topics" that require a lot of preparation on the part of the teacher. The material is easily editable and is suitable for mathematics teachers from across the globe regardless of the artificial frameworks imposed by governments. From Tromso in the North to Auckland in the South, from San Diego in the West to Bangkok in the East and in many countries in between, this resource (full CD) is employed in classrooms and more importantly, is enjoyed in classrooms by teachers and their students the world over.